achieved our highest ever October total. Chobham was the centre of attention with ringing on three days, two of which saw teams operating in two areas. 605 of the monthly total of 1,218 came from this site, including our first Yellow-browed Warbler on 22nd. 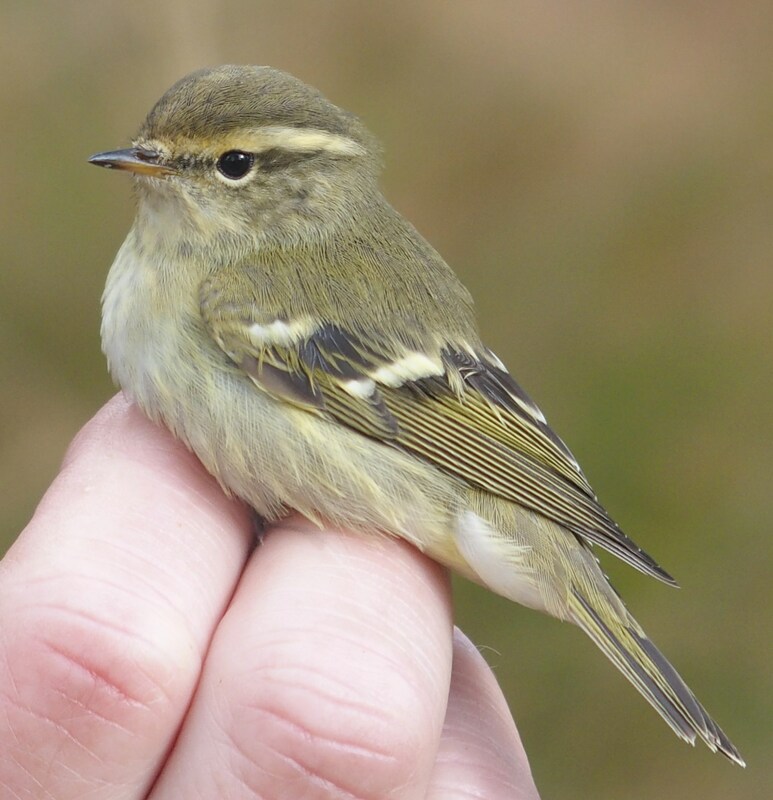 The 31 species included 9 warblers and was led by Lesser Redpoll on 379, Chiffchaff on 197 and Goldcrest on 184. Redwing surprised on 70 but Meadow Pipit were a little below expectations at 57; mainly due to lack of birds and time to target them. Latest dates for summer migrants were Sedge Warbler on 9th; Lesser Whitethroat on 12th and Reed Warbler on 14th. Ringing details for some controls have already come through and of special interest is a Goldcrest ringed in Yorkshire and caught the same day as the Yellow-browed, giving a good indication of how, and how quickly, it could have reached Chobham.